The Ministry of Ayurveda, Yoga and Naturopathy, Unani, Siddha and Homoeopathy (AYUSH) has issued an advisory on April 2 asking all non-AYUSH researchers and institutions to “involve appropriate expert/institution/research council of AYUSH” while carrying out any “scientific study, clinical trial or intervention” using AYUSH drug or treatment. The involvement of AYUSH experts is also needed for “vetting of the publication” (that arises from the research) for its “outcomes and findings”. Though the note is an advisory to researchers in modern medicine, it concludes with, “are urged to take note of the advisory for compliance” thus making it mandatory to involve an expert for carrying out research on AYUSH systems of medicine. The advisory has been issued in order to “protect (the) public image of AYUSH” and to “prevent incorrect, arbitrary and ambiguous statements and conclusions about AYUSH”. 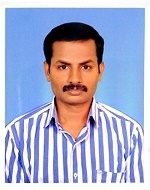 The advisory is also meant for editors of medical and scientific journals. It is not clear how the Ministry would be able to enforce this on editors, particularly editors of international journals. 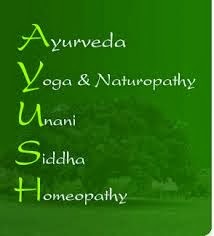 Further, “arbitrary statements and unfounded conclusions in the scientific studies and research publications related to AYUSH” cannot be allowed to jeopardise the potential and scope of AYUSH in public healthcare and distract or dissuade people from resorting to AYUSH.